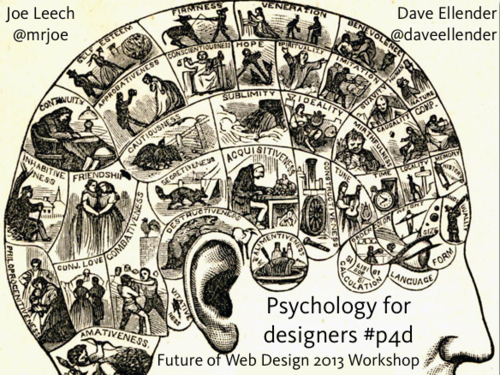 Here’s all the stuff from the Psychology for Designers workshop Dave Ellender and I ran at Future of Web Design in May. Links to all the studies we talked about are on Delicious. This entry was posted in psychology and tagged design, psychology. Bookmark the permalink.